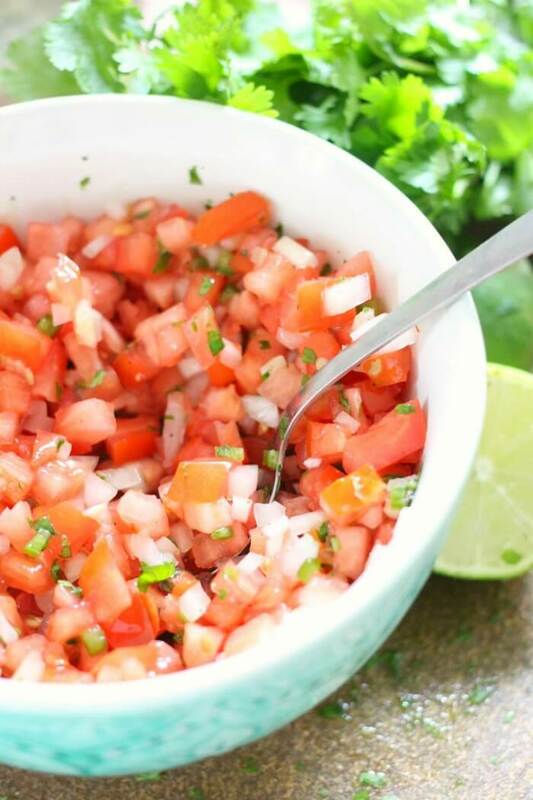 Pico de Gallo, or sometimes referred to as fresh salsa, is one of the most delicious things you can add to a meal. Don’t wait for Taco Tuesday, make it now! 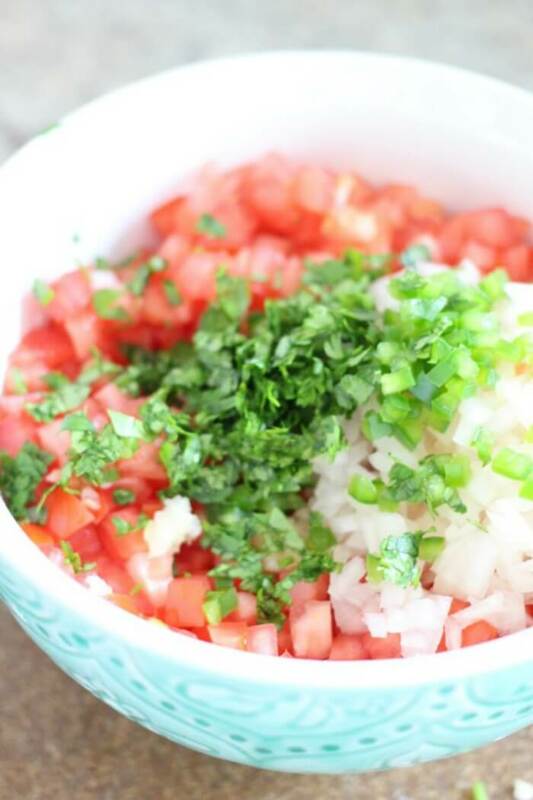 Pico de Gallo is one of the most gorgeous things out there that you can make. I mean, I’m not sure whether to frame it or eat it. Okay, that’s a lie. Eat, it’s always eat. And if you think it’s nice to look at, just wait until you get a taste. I like to serve it on fish tacos, with margaritas, and some tropical fruit salad for dessert! Tomatoes – traditionally these are roma or plum tomatoes, but use whatever you have from your garden! Sweet Yellow Onion – large or small, it’s up to you. You can use other onion varieties if you’d prefer. Fresh Garlic – hey, I won’t judge if you use pre-chopped or even garlic powder. It’s your call! Jalapeno – 1-2, depending on how spicy you like it. 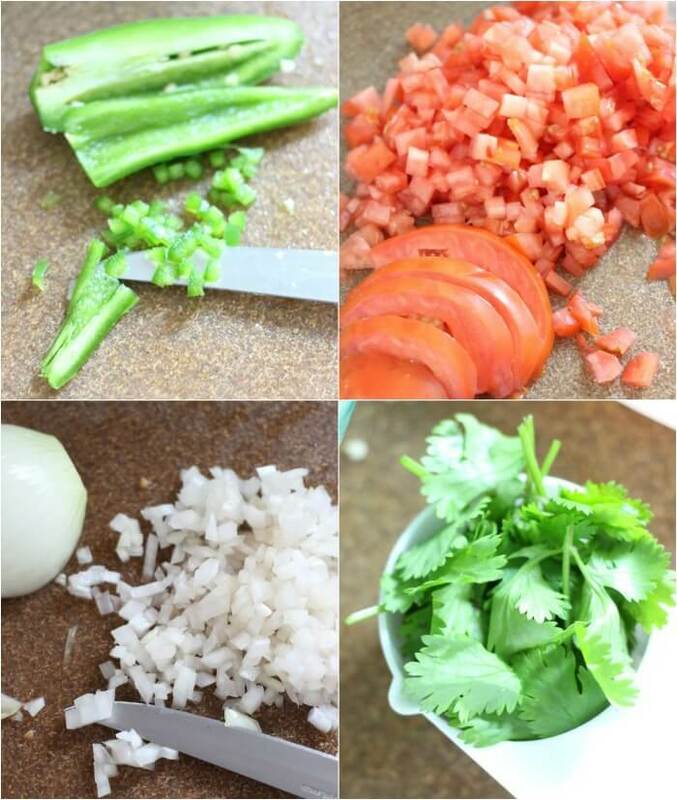 Fresh Cilantro – for you cilantro haters out there, you can substitute some flat leaf parsley for color. Lime Juice – squeeze it out fresh if you can! Salt and pepper – Add it to taste. I like a crunchy kosher salt in mine with a little freshly ground black pepper. How do you make Pico de Gallo? First, gather all your fresh ingredients. Next, chop all ingredients into a small dice (except for lime, salt, and pepper). Then, put all your chopped veggies in a bowl, add the lime juice, salt, and pepper. Finally, enjoy some fresh Pico de Gallo! What’s the difference between salsa and Pico de Gallo? The difference between Pico de Gallo and salsa is really the consistency. Pico de Gallo is a type of fresh salsa, but is thicker and chunkier than most salsas, which have a thinner consistency with more liquid. How Healthy is Pico de Gallo? Pico de Gallo is healthy! You are using fresh ingredients and “eating the rainbow,” so you’re getting tons of vitamins per bite! Is Pico de Gallo Paleo? Pico de Gallo is paleo! You can’t go wrong with all those fresh veggies. Is Pico de Gallo low carb? Pico de Gallo is low carb. One serving of Pico de Gallo is around 3 grams of carbs, depending on your ingredients. This should fit nicely into any low carb diet, as the carbs are all coming from vegetables. Is Pico de Gallo Keto? Pico de Gallo is keto. Again, the amount of carbs is pretty low, and people eating a keto diet should be getting fresh vegies in their diet! Add some olive oil for extra fat and have an avocado on the side as well! 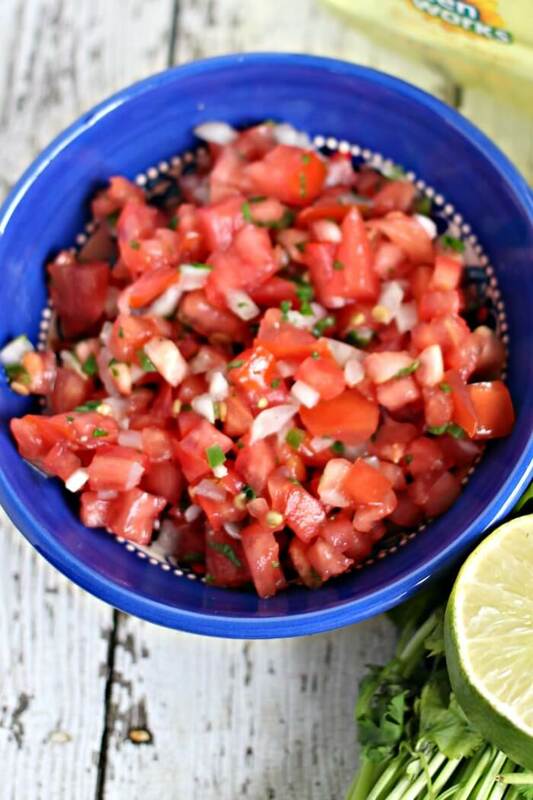 Pico de Gallo is fast and easy to prepare and adds a nice zing to more than just tacos! What kind of onion is in Pico de Gallo? 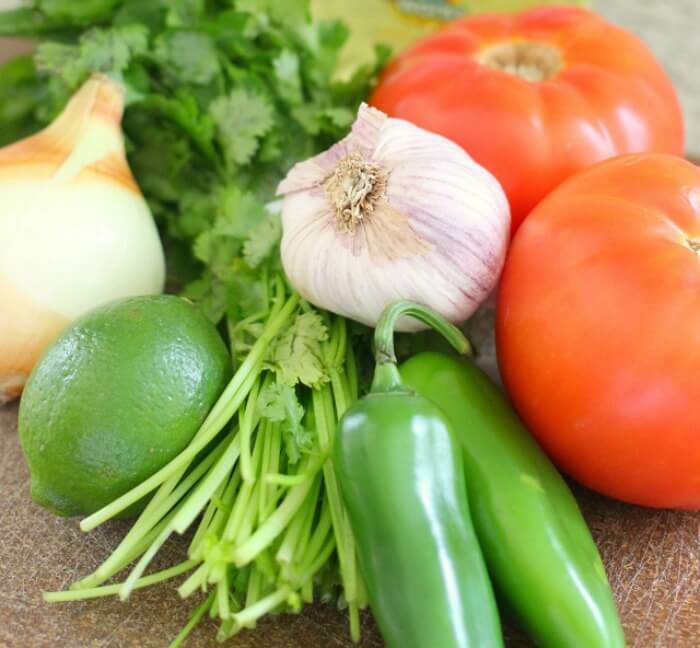 The kind of onion in Pico de Gallo is usually a sweet yellow, but one of the wonderful things about Pico de Gallo is that you can tweak it to your tastes. Lots of onion, a little onion, sweet onions…you make the call. Is there garlic in Pico de Gallo? 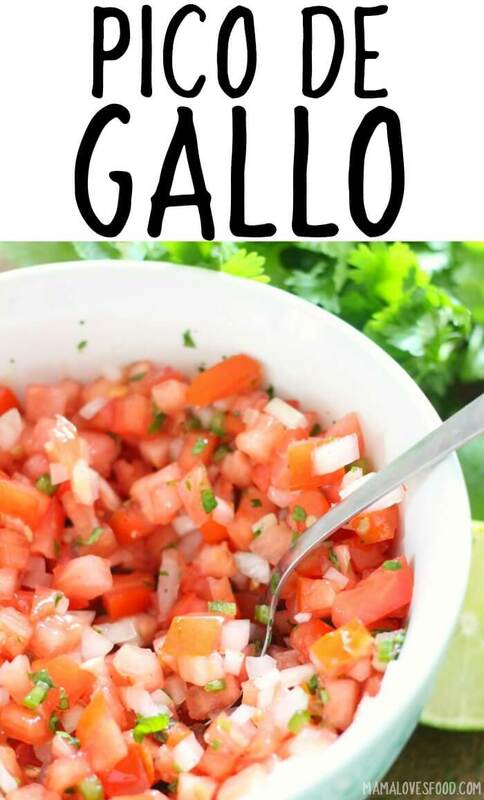 There is garlic in Pico de Gallo, but, as with onions, you can add as much or as little garlic as you want. A nice variation in the spring could be garlic ramps! Can you make Pico de Gallo without cilantro? You can make Pico de Gallo without cilantro. I hear you, those cilantro haters out there. It won’t be quite as authentic, but you can certainly either leave it out or add some flat leaf parsley instead. Can you make Pico de Gallo the night before? Can I make Pico de Gallo in a blender or food processor? 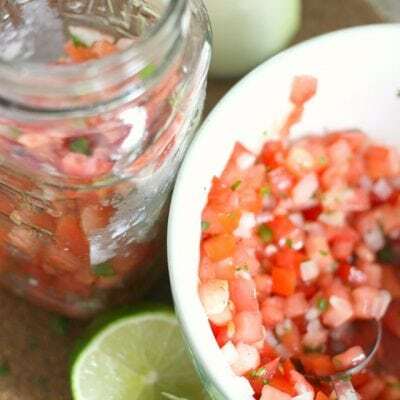 You can make Pico de Gallo in a blender or food processor. Just add all the ingredients and pulse until chopped. If you over blend it will be more of a salsa consistency, but will still taste delicious. 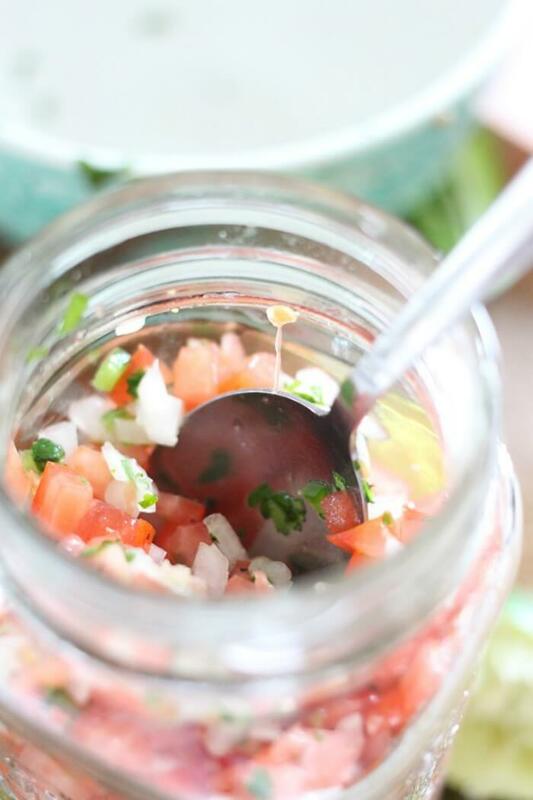 How long will Pico de Gallo keep in the refrigerator? Pico de Gallo should keep 3 days or so in the refrigerator. Make sure it is tightly covered, and you may want to drain the liquid and give it a stir daily to keep the consistency firmer. Can I freeze Pico de Gallo? You can freeze Pico de Gallo, but once thawed the texture will be quite different because the water in the tomatoes will expand when frozen. Once thawed it will be a more mushy consistency. It’s so easy to make the day of, or even the night before, so I recommend you make as needed. Leftovers the next day can be added to all kinds of things! What do you eat Pico de Gallo with? You can eat Pico de Gallo with so many things. The possibilities are endless! Dinner – Fish tacos, topping a steak, drizzled over some shrimp, on baked chicken, or even taco Tuesday! Snacks – Nachos, or anything that gets pepped up with a spicy dip. Adding a fresh condiment to your dinner livens it up, as well as giving it a healthy kick! 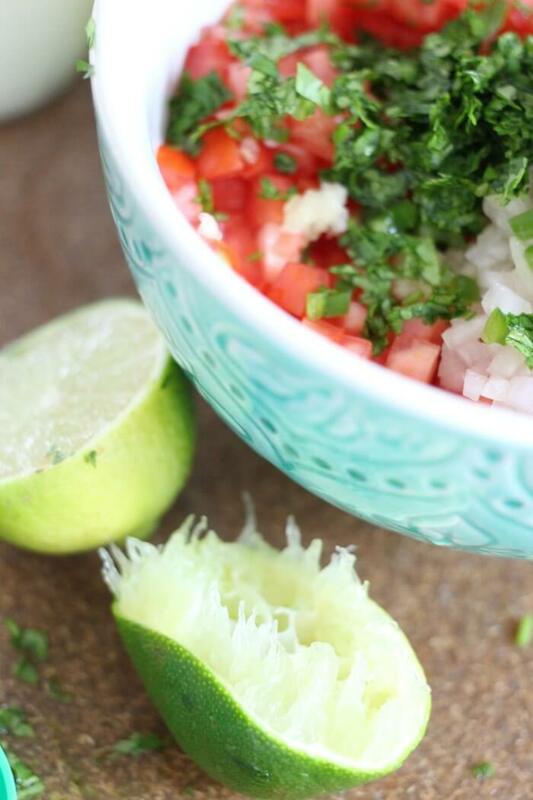 Pico de Gallo isn’t the only great Mexican themed recipe I have for you…check these out! 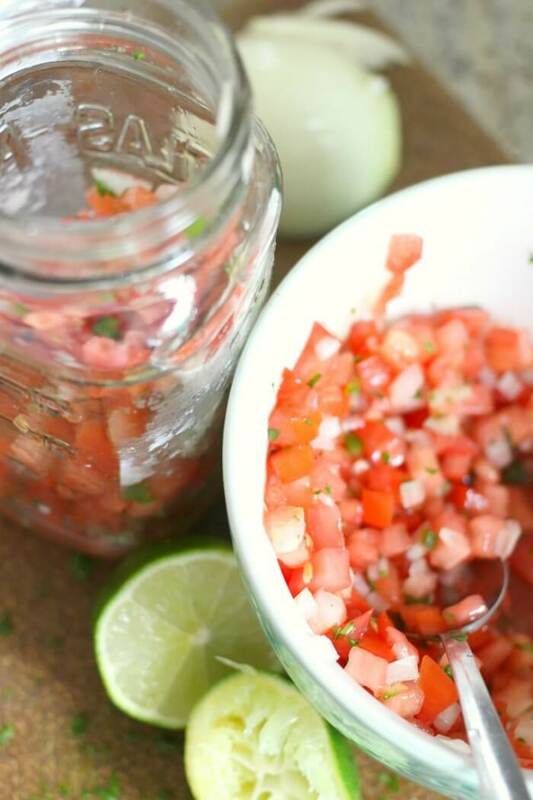 Pico de Gallo, or sometimes referred to as fresh salsa, is one of the most delicious things you can add to a meal. Don't wait for Taco Tuesday, make it now! Stir everything together in a bowl, and enjoy! This looks like the perfect recipe for a warm summer day! Thanks for sharing! This pico de gallo looks amazing! Perfect to put on tacos or just eat with chips! 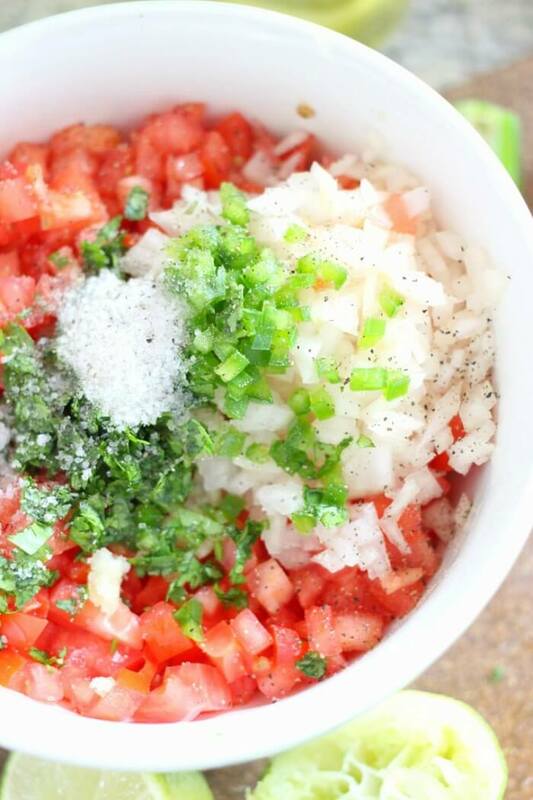 Nothing beats a fresh bowl of pico de gallo in the summer! The lime juice adds so much bright flavor to this recipe, always a hit!